Why do people want to work in the cleaning industry? One key reason is stability. Even in the face of an unpredictable economy, the sector has continued to grow in recent years, providing tens of thousands of Australians with a reliable source of income. The commercial cleaning services market employs around 123,450 people. As of February 2016, the commercial cleaning services market employed 123,450 people, according to figures collated by IBISWorld. It’s predicted that this number will reach 131,660 by 2019/20, as the industry takes on more casual and part-time staff to accommodate clients’ needs. The Construction and Property Services Industry Skills Council estimated that the industry will grow over the coming years at an annualised rate of 1.7 per cent to hit $8.6 billion by 2019/20. Strong attention to detail is critical for excelling in the cleaning industry. Harrison Barnes, author of one of the top career-oriented blogs in the world, asserted that having strong attention to detail can often mean the difference between professional success and failure. Why? Essentially, because it means you’re considering every possible outcome. Of course, this doesn’t mean that you should forget about the bigger picture, but striking a good balance between the two maximises your chances of a successful career. Working in the cleaning industry in Australia is an excellent way to hone your attention to detail, as you’ll need to deliver a consistently high level of service to meet the expectations of your customers. 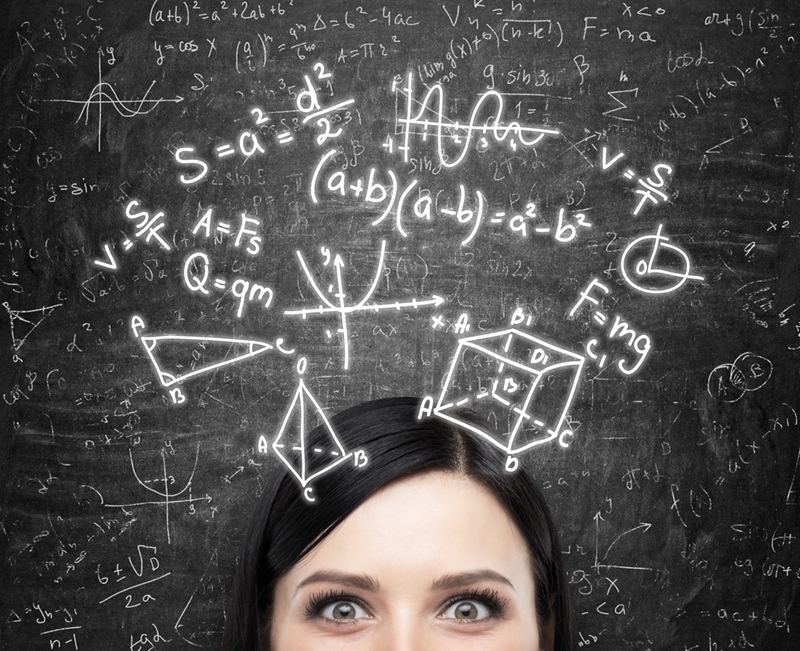 Hone your ability to solve problems and think outside the box. The ability to think critically and outside the box are traits highly valued across just about every industry imaginable. In the commercial cleaning sector, you’ll be faced with a range of challenges on a daily basis that will help you develop this key skill. Whether you’re identifying which products will be best for a certain surface type or thinking of ways to improve your team’s efficiency, the variety of work in the cleaning industry is sure to teach you strong problem solving skills. Independent workers are valuable assets both in the cleaning industry and beyond. While most professional cleaning services in Australia will provide on-the-job training for new recruits, as time goes on there will probably be many instances where you’ll be working with no immediate supervision. These moments are an excellent opportunity to not only demonstrate your trustworthiness as an employee, but can also help you develop your ability to work autonomously. Being able to excel under self-supervision is a very transferable skill, should you ever decide to transition out of the cleaning industry. For those wishing to progress within the sector, it’s an attribute that many business leaders look for when weighing up candidates to promote into managerial positions. 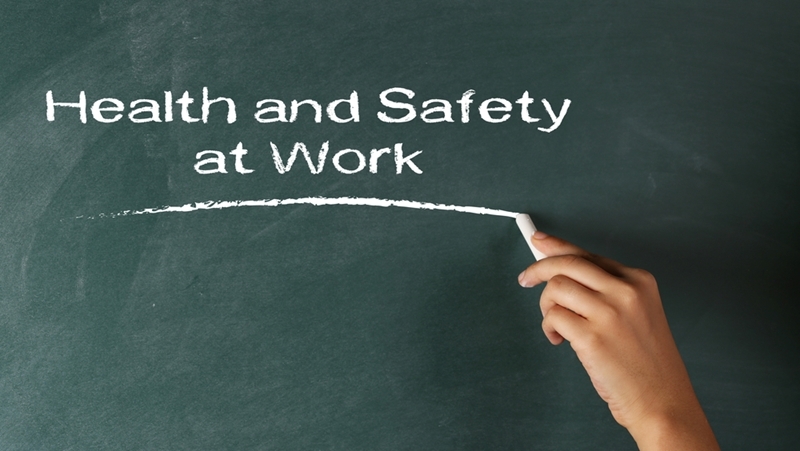 Having a good understanding of workplace health and safety helps you minimise the risk of sustaining an injury. Injuries in the workplace are an unfortunate yet all too common part of many businesses in Australia. In fact, 117,815 serious claims (compensation requiring a week or more time off work) were lodged between 2012 and 2013, according to figures collated by SafeWork Australia. While the cleaning services industry is not immune from these risks, most companies are very diligent about ensuring the health and wellbeing of their employees. As a cleaning professional, you’ll receive training to help you minimise the chances of getting injured in the workplace. Being able to operate safely, meet compliance requirements and identify hazards that may impact you and your colleagues are all excellent skills to have, regardless of the sector you’re working in. Versatility is key when working in the dynamic cleaning industry. It’s no exaggeration to say that no two days in the cleaning sector are the same. You’ll be operating in different environments, working with new products and materials, and the hours of your shift might even vary, too. This might sound a little daunting at first, but it’s often an incredibly effective way to improve your versatility as an employee. Why is this so important? Well, according to Forbes contributor Brent Beshore, versatility is one of the nine key attributes every employer looks for in a candidate. The ability to leverage innovation, adapt to new challenges and leave your comfort zone when necessary is sure to be valued by current and future employers alike. Working in the cleaning services sector could teach you valuable business leadership skills. Those who are able to master the aforementioned qualities and have the ambition to succeed can also learn leadership skills in the cleaning industry. Here at Glad Group, we provide our staff with ongoing development opportunities to help them expand their professional skill sets. As a result, our employees are able to further their industry-specific expertise, enabling us as a company to deliver a higher level of service to our discerning customers. Many people join the cleaning services sector for the financial stability, but along the way they realise the industry has much more to give than a mere pay check. Whether it’s becoming a more versatile employee or honing your ability to work autonomously, there’s no denying that working in this industry can teach you a range of valuable skills. If you’re considering becoming a professional cleaner or would like more information about the roles we have available, don’t hesitate to get in touch with the team at Glad Group. The types of security threat facing Australian businesses are evolving all the time. As new technology comes to the fore and devices become increasingly more sophisticated, the need for preventative measures has never been so pressing. This is certainly the case when it comes to mobile devices. Workplaces are becoming more flexible, which creates the need for employees to be connected wherever they go – and these handy systems ensure they do just that. The mobile trend is unlikely to go away any time soon. Figures from ACMA show that Australian adults are increasingly likely to be mobile-only users. As of December 2014, 29 per cent of respondents were found not to have a fixed-line connection – a trend most common in the 25 to 34 age bracket. A recent survey from Telstra found that people generally aren’t willing to put their trust into mobile devices at any cost. Security remains a core concern and is something organisations will need to focus on more heavily moving forward. Less than half of those questioned said they we dissatisfied with their financial institution’s security performance, while more than a third have been a victim of identity theft. Trust is an important factor, as more than half of respondents said this would be the main area they’d consider when selecting a financial services provider. What this shows is that firms cannot afford to be lax with their security services. While people are embracing digital trends, they’re still aware of the potential threats they face – and it’s up to companies to ensure they’re taking whatever steps possible to mitigate them. As Deloitte recently indicated, the mobile trend is unlikely to go away any time soon. It’s therefore something that every business should prepare for, both practically speaking and from a security perspective. Mobile devices create need for more security measures. Security threats take a number of different forms. “It is clear that mobile will continue shaping the way Australians communicate, work and interact,” said Australian Mobile Telecommunications Association Chair Matthew Lobb. It’s estimated that around five billion mobile devices are in use all over the world, which the experts believe will continue to rise. By 2020, there could be as many as 20.8 billion. Taking a well-rounded approach to security at your business is essential. Get in touch with Glad Group to see how we can make this a reality for your company. Consumers across the country have more environmental awareness than ever before, which makes it important for companies to offer eco-friendly products and services. This is certainly the case when it comes to offering cleaning services in Australia, as a growing number of environmental products have entered the market. People are more aware of the importance of green issues than ever before. Figures from the Australian Bureau of Statistics (ABS) show that in 2007-08, 82 per cent of adults said they were worried about at least one environmental problem. Women were found to be more concerned than their male counterparts 83 per cent as opposed to 80 per cent. In order to tap into this growing environmental conscience, companies need to make sure they’re employing the greenest strategies possible, and this includes offering eco-friendly cleaning services. There are various reasons why businesses might choose to use green cleaning products. Many of them are non-toxic and free from chemicals, which means they have a reduced impact on the environment and the water supply in particular. Research carried out by Griffith University suggests consumers should be looking for a number of features from their cleaning products. This includes the absence of phosphates, sulphates and petrochemicals (among others) as they can be harmful to human health. Some cleaning products also contain volatile organic compounds (VOCs), which enter the air as gases and have the potential to cause health problems. Short-term exposure can lead to headaches and dizziness, while longer term contact with VOCs could affect the liver, kidneys and nervous system. Environmentally-friendly cleaning products generally minimise the presence of these harmful chemicals. This can lead to a cleaner indoor environment that is ultimately more pleasant to live or work in. One of the biggest issues to arise from the use of standard cleaning products is contamination of the water supply. The proper disposal of water used for cleaning should be encouraged, while any hazardous products need to be stored correctly. The Natural Resources Defence Council explained that it’s all too easy for hazardous products to be washed away. By using eco-friendly cleaning products from the outset, any potential impact on the environment can be minimised. Here at Glad Group, we pride ourselves on our Go Green program. This makes sure we use the latest equipment to provide environmental solutions, while also preferring bio-degradable chemicals in the products we use. Keeping your business fresh and relevant is about more than just keeping up with the latest trends, it’s also about making sure your premises are portraying the right impression. Renovations are a great way of doing just this and can complement the maintenance services you already receive. Whether you’re going through a complete rebrand or simply want a little pick-me-up for your commercial property, renovations could hold the key. The latest Renovations Roundup from the Housing Industry Association (HIA) suggests many people throughout Australia are doing just that, with activity levels in the sector up 4.4 per cent in 2015. A tired appearance can quite easily fall into the background during your day-to-day time in the office, but for those visiting your premises, it can have quite a different impact. Potential and actual clients will notice if your offices are looking a little tired around the edges. First impressions can be particularly difficult to reverse, noted researchers from the Society for Personality and Social Psychology. Although someone might be presented with facts about a person – or in this case, a place – it’s often hard for this to replace a person’s first impressions. It can take just a fraction of a second for an opinion to be formed, which is why you can’t afford to let your offices look anything short of the best. Trends come and go at a seemingly impossible rate. The colour scheme and fit-out you chose 10 years ago might no longer be quite as attractive, which is another incentive to move renovations up your agenda. We’re not suggesting that you should renovate twice a year as the latest colour fads are discussed, but being aware of what’s available can make a real difference. Dulux predicted that mustard, pink and purple would be adorning interior design lovers’ walls in 2016, and while this might give some food for thought, it doesn’t necessarily mean you have to follow the crowd. A key feature of any well-designed office space is ergonomics. While you might have given plenty of thought to how people would work and move around the area in the early days, have you kept up with this as more employees have been added to the mix? Ensuring people have sufficient space around their workstations can make them more productive and happier, while also creating a much more effective use of the area. For advice on maintenance services and other aspects of commercial property, get in touch with Glad Group today. What started as a spontaneous decision by one of our team members to join the Mother’s Day Classic, ended with 20 participants, Glad employees and their families, registering for the run and walk. With some driven by their personal stories and others supporting them, it was a beautiful experience of remembrance, awareness and appreciation for all in the Glad Family and a wonderful way to spend Mother’s Day. As always Glad Group was there to support this initiative and help raise awareness and funds for breast cancer research. According to the Australian Institute of Health and Welfare, it is estimated that in 2016 the risk of an individual being diagnosed with breast cancer by their 85th birthday will be 1 in 16 (1 in 719 males and 1 in 8 females). The Mother’s Day Classic is an annual fun run and walk raising funds and awareness for breast cancer research. All proceeds are donated to the National Breast Cancer Foundation which supports research into breast cancer prevention and treatment. Thank you to everyone from Glad that participated and we look forward to a bigger team in 2017. Being safety-aware is crucial for any business owner, as dealing with a security breach can lead to all sorts of financial difficulties. As the saying goes, prevention is often better than a cure, so taking whatever steps you can to deter thieves is critical. The good news is there are many different types of security services in Australia for you to invest in. Knowing what the risks facing your business are is the first step towards deciding which ones you should be taking out to protect your operations. One of the most common types of crime to affect commercial property is break-ins – both actual and attempted. The latest available figures from the Australian Bureau of Statistics (ABS) show that in 2011, 63,467 non-residential burglaries were recorded by police. Of this total, 70 per cent were successful, showing there’s still a significant proportion who didn’t manage to enter the premises. Deterrents such as security glazing and keeping valuable items out of sight can go some way towards rectifying the problem. There’s also the usefulness of intruder alarms to consider – these can put off thieves even before they try to enter a property, or alert neighbours there’s a job in progress. Another issue that often affects Australian businesses is theft. This is a problem that not only affects consumer-facing operations, as it can also occur from within an organisation. ABS figures show theft was the most prevalent offence among young offenders in 2014-15, accounting for 29 per cent of all incidents within this particular demographic. An effective way of dealing with the problem is to install CCTV cameras. Again, they can act as a preventative measure while also helping businesses to identify the perpetrators, making them a worthwhile investment. The more connected workplace has also opened up a new type of threat to Australian businesses – cybercrime. According to the CERT Australia ACSC 2015 Cyber Security Survey: Major Australian Businesses, half of companies have experienced at least one incident in the past year. One of the most common types of attack uses ransomware – a type of software that will restrict activity on a certain computer or device. This can be particularly debilitating for a business, especially if any financial information is taken. Terrorism is a major focus for the Australian government and law enforcement. The events at Sydney’s Martin Place in December 2014 led to a significant paradigm shift in how risk and security need to be managed and operated in Australia and the world. The event coupled with the recent attacks in Paris and Brussels have thrown a spotlight onto the importance of the training and education of risk and security teams, especially in the operations of public buildings, such as commercial buildings and retail centres. This is especially important in the capacity of identifying potential risk and awareness, emergency response capability, dry run training and enhanced customer engagement. With Australia’s threat level as PROBABLE, it is crucial that Glad Group’s teams providing security services have the knowledge and capability to identify any potential threats and respond to them swiftly and appropriately. Do whatever possible to protect your business operations. Here at Glad Group, we offer extensive security services in Australia. From risk management audits to monitoring electronic systems, you can make sure no aspect of your operation is left vulnerable. Autumn is a good time to enlist cleaning services in Australia, as the experts will know which areas to focus on now the summer months are over. A clean environment always gives the right impression to potential clients, so no company can ever afford to let their standards slip. Autumn is the ideal time to take a closer look at how clean your premises are and take stock of which tasks need to be completed. This is where cleaning services in Australia come in useful. Here at Glad Group, we recognise that the first impressions of your guests is critical, which is why we only ever provide a first-rate service. Here are just some of the tasks that might need to be prioritised at your commercial premises now the summer months are over. Summer generally creates hot and dry conditions, which can mean only one thing – dust. 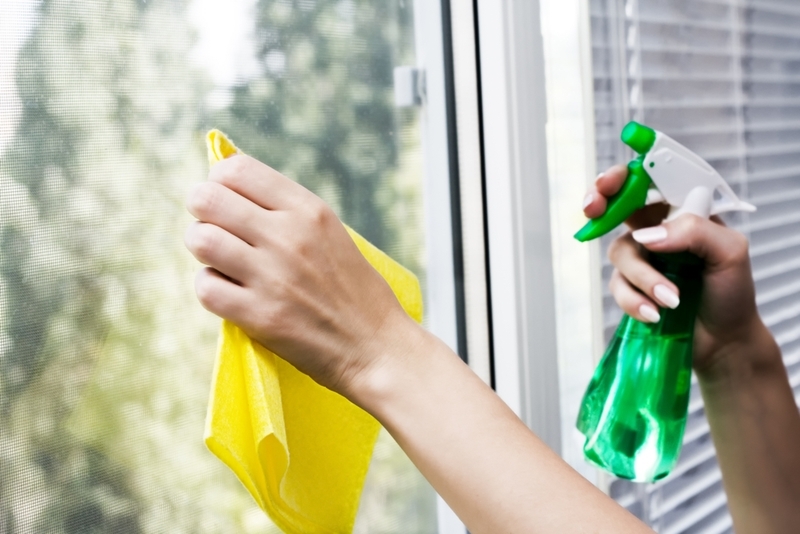 While it can feel as though you’re fighting a losing battle during the first couple of months of the year, autumn brings the ideal time to address those dirty windows. A professional window cleaner will have the right tools for the job and can ensure your property is looking as sparkling as it should. This is especially important if you’re in a large office block, which can be both troublesome and time-consuming to clean. Your air conditioning systems are likely to have been working overtime during the summer. Accumulations of dust and dirt can mean they don’t function as well as they should, which is why a thorough autumn clean and service might be in order. It may be tempting to leave it until next summer, but this could prove unwise. The Bureau of Meteorology has forecasted that much of Australia is likely to experience warmer-than-average conditions for the period from April to June, so you may be reaching for the air conditioning remote sooner than you thought. Disinfecting common areas and equipment should be part of your commercial cleaning service in Australia. It’s not something that only needs to be reserved for autumn, as it really needs to be a task you do on at least a weekly basis. Researchers from mouldcheck.co.uk once took a swab from a computer keyboard to find 7,500 bacteria – the average toilet seat has around 5,400. 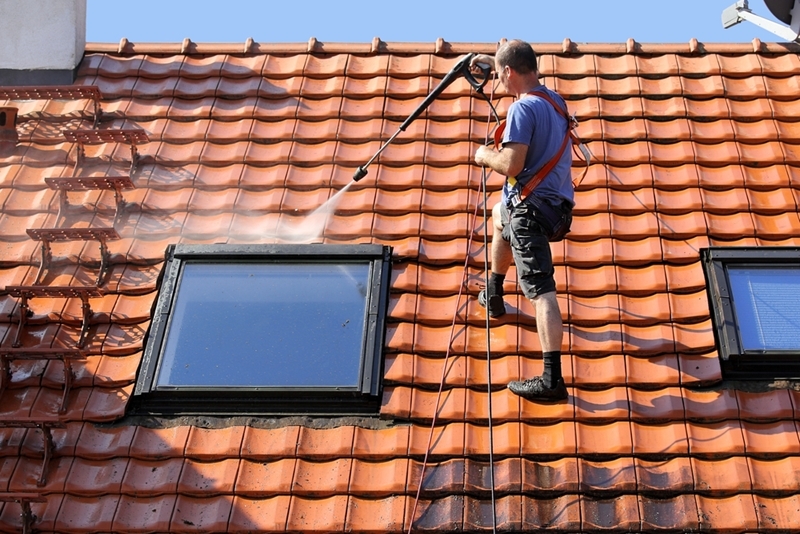 For comprehensive cleaning services at your business, see what Glad Group has to offer today. We’ve recently been certified for ISO 9001:2015 and ISO 14001:2015. What are these standards all about and how are they going to impact Glad Group? Whether it’s safety, productivity or customer satisfaction, all good enterprises around the world are constantly looking at how they can improve some part of their operations. There are many ways of achieving this, with one of the most effective being incorporating standardised procedures into company processes. The first step to coming to terms with the new ISO standards is to understand what these accreditations are all about. Simply put, International Standards provide clearly defined specifications to help companies improve quality, safety and efficiency. They are developed voluntarily through consensus among niche experts and, due to the fact that they’re used across the globe, the standards have become critical in supporting international trade. What do the new ISO standards entail? In September 2015, the latest versions of two key environmental and quality standards were released: ISO 14001:2015 and ISO 9001:2015. The changes in the new and improved standards have a direct impact on every facet of Glad’s business, from property maintenance services to cleaning solutions and everything in between. So, what’s new in these standards? How do the new ISO standards impact Glad Group? At Glad Group, we’re always striving to meet and exceed the expectations of our clients. The new standards reinforce this ethos. By introducing explicitly set-out quality standards, staff across every level of our organisation will be able to develop a better understanding of what’s expected of them and the quality of work they should be aiming for. Clients also benefit from the certification. For example, customers seeking accredited cleaning services in Australia can rest assured knowing the company they engage will operate to a certain standard and act professionally and lawfully at all times. Obtaining the latest certifications also speaks volumes about a company’s professionalism, reputability and expertise. Given the fact that service providers need to prove their eligibility for the new standards, earning ISO 9001:2015 and ISO 14001:2015 demonstrates a certain level of integrity and capacity to comply with relevant laws. 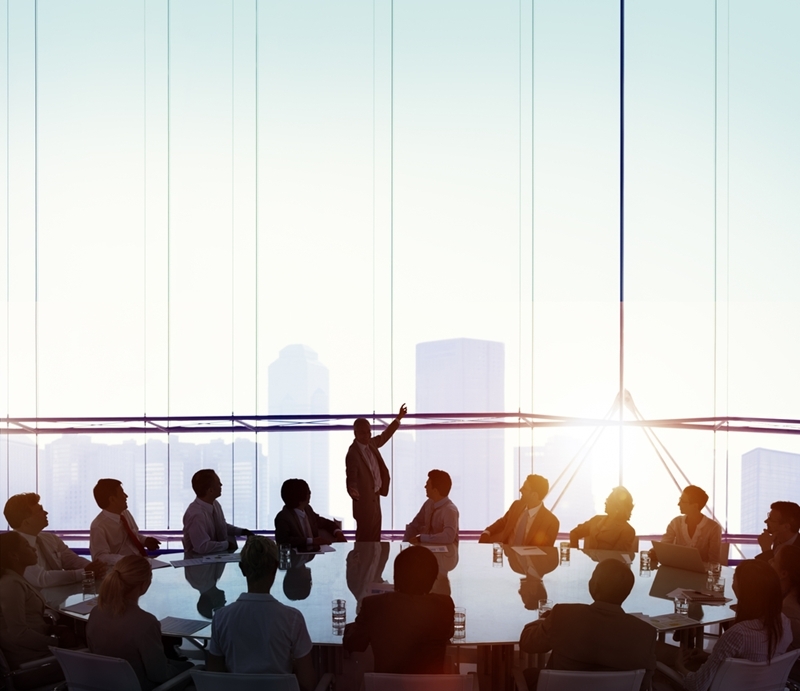 Earning the new ISO standards also provides Glad Group with unimpeded access to the latest industry knowledge, including new techniques, legislation and initiatives. Not only do our clients directly benefit from this, it also cements our position as leaders in the integrated property services industry, which may enable Glad Group to expand into new markets and better identify the risks involved with the industry. This is far from an exhaustive list of benefits. As Glad Group Managing Director Nick Iloski explained, the advantages come in many shapes and sizes. “Glad Group’s success with third party certification takes many forms. For the company, it’s all about attracting new clients and meeting and exceeding the requirements of existing client base,” said Mr Iloski. We’re only just beginning to feel the effects of the new ISO standards, but we’re confident that obtaining these new certifications will bring tangible business benefits for everyone involved with Glad Group. From left to right: Mark Gerdovic (General Manager – Integrated Services, Tonoy Ghosh (Cleaning Manager – MLC Centre), Steve Iloski (Director – Security), Rose Boonyatulanon (Client Services Manager), Abu Shahriar (Compliance – Glad Group), Ravi Paliwal (Security Manager – MLC Centre), ), Zoe Quelch (Client Services Manager – SAI Global), Nick Iloski (Managing Director). On Friday 26 February Ivana Iloski, Marketing & Communications Manager and Alexander Petrie, Legal Counsel for Glad both gave up their time to spend a day at Triple Care Farm with PropertyBlitz – a core volunteer group of the Property Industry Foundation. With a crew of 30 helpers the day was a real property blitz – buildings were painted, shelves were installed, fences constructed, garden beds planted and a big BBQ lunch was enjoyed by all. The farm is an award winning youth rehab facility located in NSW’s Southern Highlands, which helps rehabilitate 100 young people each year suffering with substance abuse, mental illness, homelessness and family breakdown. Operated by Mission Australia, the 3 month treatment program is for young people between the ages of 16-24 years. It provides an ideal environment of peace and healing for troubled youth, most of whom present with comorbid mental health and addiction issues. The Farm provides a safe place for change amongst an atmosphere of security and encouragement to support young people to turn their lives around. You never know what’s going to happen when you start your next shift at work. For Kerry Thomas and Gregory Phillips at Caboolture Shopping Centre, their shift on 5 February is one they will never forget. A fire broke out in the ladies section of K-Mart, which quickly spread, resulting in smoke barrelling through the store and the centre. Fortunately, at the initial outbreak, Glad Cleaner Greg and an on duty security guard were passing the store as part of their regular mall rotations. Realising the danger they quickly raised the alarm – even before the centre fire alarm system activated. After the fire brigade arrived and gave the all-clear, the centre returned to normal trading, except for K-Mart. The quick thinking actions of Greg and the rest of the Glad Team ensured that no one was hurt and the damage to the centre was minimal. Centre Management were extremely grateful for the early detection of such a serious matter. Charter Hall’s Operations Manager Andrew Head expressed “a great thank you to the whole team, who acted throughout with a professional and calm attitude; and especially for their early identification of such a serious incident”. Well done Kerry and Gregory! Your actions were above and beyond.